I can't express how much I miss you. 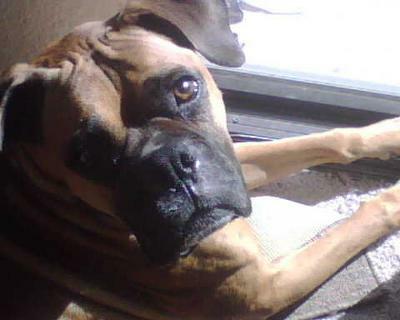 There is a huge Boxer sized hole in my heart and I feel empty inside. This world is just not the same. A lot of my identity was being your mommy. I loved taking care of you. Now what? Is it still okay to be your mommy? Will you recognize me when I get to Heaven? Will you need me at all? Please know that you are not replaceable, in fact, I will not be able to get another dog for a long time. 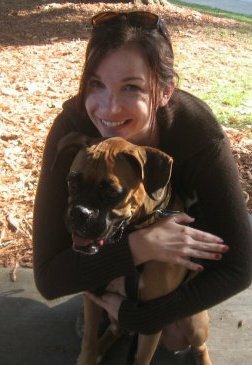 You've opened up my world to a love for Boxers so one day, when I'm ready, I will adopt another. You will always be the doggie love of my life though. The bond we had is unbreakable. I'm so sad that you had to go. Mommy wasn't done with you yet but it wasn't up to me. I hope I did right by you with the decision I made. It was made out of love. The thought of you being in pain was too hard to bear. I want you to know, my doogie, that I still love you very much and will carry you in my heart forever. Join in and write your own page! It's easy to do. How? 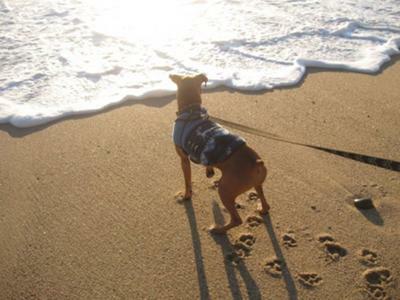 Simply click here to return to Your Pet Loss Diaries - 'Jennifer & Elliott'.